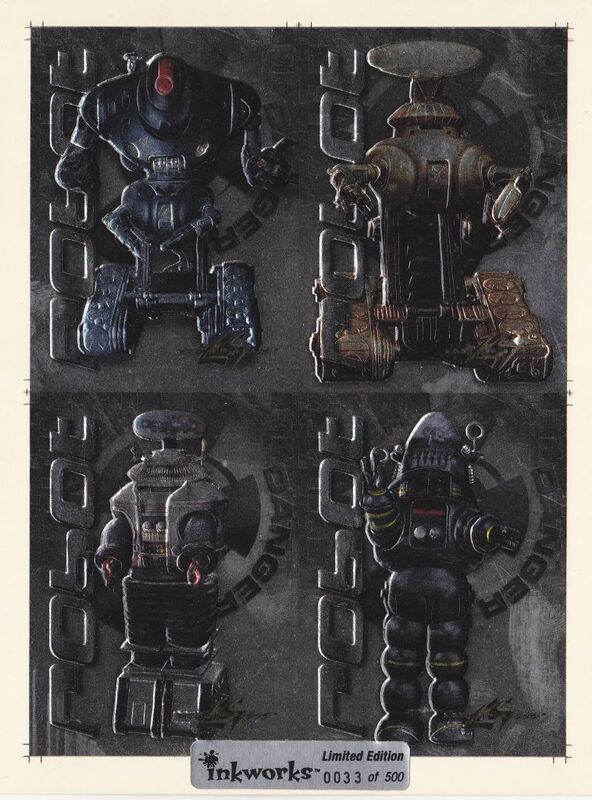 Issued by the Inkworks Trading Card Company was this very limited edition of 4 Robot cards "uncut sheet". Inkworks sold these as promo cards and were only available through there respected company. Only 500 were ever made and were titled, "Family Robinson 9 card". 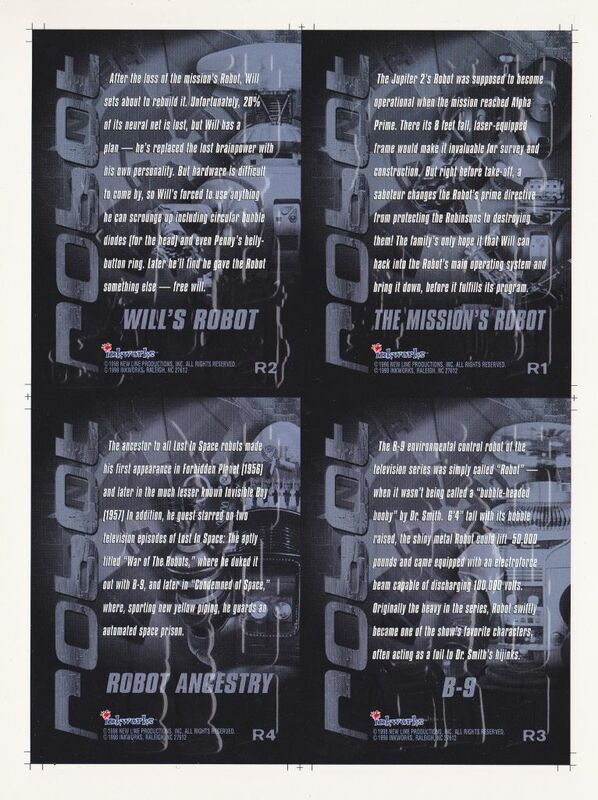 The uncut sheet is 33/500 and features the two Lost in Space movie Robots, the classic B9 Robot, and Robby from Forbidden Planet.